If you’ve been injured by a motorist, then your life may have taken a complete shift in the blink of an eye. Here at Steve Ray Law, we understand how shocking and devastating an accident can be, which is why we strive to ensure that you are fairly compensated for pain and suffering, any time lost at work, and damages to your vehicle, among other foreseeable expenses and losses. If you’re confused about the actions that you should take to make sure that you have the support you need as you face medical expenses, vehicle damages, time away from work, and insurers who are looking to settle, then it may prove beneficial to hire a personal injury attorney to represent you and defend you against unfair payments for the damages and setbacks that you’ve incurred. If you’ve suffered an accident in Fort Collins or throughout Northern Colorado, then we’d be glad to work with you, aiming to earn you the compensation that you deserve. While a court trial may be necessary in order to obtain restitution from the other party involved, most cases are settled outside of court. We may be able to work with the other party and their insurers in order to obtain fair compensation for the damages that you’ve incurred. If a settlement isn’t possible, due to a disagreement, your case may go to trial. In these instances, we will represent you as we strive to earn you just compensation by the judgement of a jury. Take note, even throughout a jury trial, settlement negotiations are possible. We’ll keep you informed about the status of your case, your options throughout the case, and the possibility of settling out of court if that is the best action to pursue. Here at Steve Ray Law, we understand that you may not have the money necessary to hire legal representation. That’s why we offer free initial consultations. In addition, if we fail to recover restitution or compensation on your behalf, you won’t have to pay us for our legal services. You will only pay for representation if you earn compensation. If you give us a call, we’d be happy to discuss our legal fees and what you can expect for your specific case. When you’ve been in an accident, you should act right away, taking the proper steps to prepare for the future, while ensuring that you are in the best care for your health. First of all, you should seek medical treatment immediately for any injuries you’ve sustained. Be sure to get a medical diagnosis, follow treatment orders, and obtain documentation of all of the treatments and diagnoses that you are going through. Once you are safe and sound, you should give us a call. We’ll work with you to understand what happened, in order to form a plan of action to move forward. Next, we should obtain an accident report from the police. We can help you to request this accident report, so that we have an understanding of the events that took place. You should also write down what you remember from the accident as soon as possible, to have an accurate summation of your memory of the events. From there, we’ll gather other potential evidence that may be useful to establish liability. We may try to obtain crash scene photos, video surveillance evidence, witness statements, and other information. We urge you not to talk to insurance companies yet. You should not give a statement or provide access to medical records until we’ve had a look at them. Your lawyer will provide you with a plan of action as you approach insurance companies with a claim. It depends. We’ll work to earn you compensation as quickly as possible. However, if your case proceeds to court, it may be some time before you receive compensation. Once a settlement or verdict is met, however, we will take immediate action to collect the sum owed to you (either in a lump sum or in a series of payments), so that you can begin to pay bills and get back on your feet. What kinds of motor vehicle accidents do you provide representation for? We provide representation for those who have suffered all kinds of personal injuries. You can call on us if you’ve been injured in a car accident, truck accident, or motorcycle accident. We also represent pedestrians and bicyclists. What services do you provide during a personal injury case? When you work with us, we’ll first provide you with a free consultation, so that we can better understand the details of your case, and you better understand the proceedings that are in front of you. From there, we’ll work to investigate your case by gathering as much information as possible, so that we have all of the evidence needed to show who was at fault during the accident. We’ll also work with you to gather information about your medical expenses, current and future wage losses from time away from work, and physical and emotional damages that you’ve incurred. We can work with both your insurance companies and the insurers of the other party involved in the accident — representing you in order to earn fair compensation for your injuries and damage to your vehicle. Finally, we’ll make sure that funds are dispersed to you quickly, so that you can utilize them as you get back on your feet. There are numerous forms of restitution and compensation that we’ll pursue throughout your case. We want to ensure that you are fairly compensated for all aspects of your case, from medical expenses to vehicle damages to pain and suffering. We’ll strive to earn compensation for past and future medical expenses, lost wages (current and future), and restitution for pain and suffering (including any physical pain, emotional distress, disfigurement, and loss of enjoyment of life that you may suffer moving forward). Personal injury cases are complex and multi-faceted. We’ll do our utmost to ensure that we understand the losses you’re enduring, and we’ll work to gain restitution for those losses on your behalf. Every case is different. As such, it’s impossible to estimate how much compensation you can expect to receive for your specific case. If you’re curious about the compensation sources and amounts we may pursue throughout your case, please reach out to us. There are numerous sources that we may pursue in order to establish liability in your case. 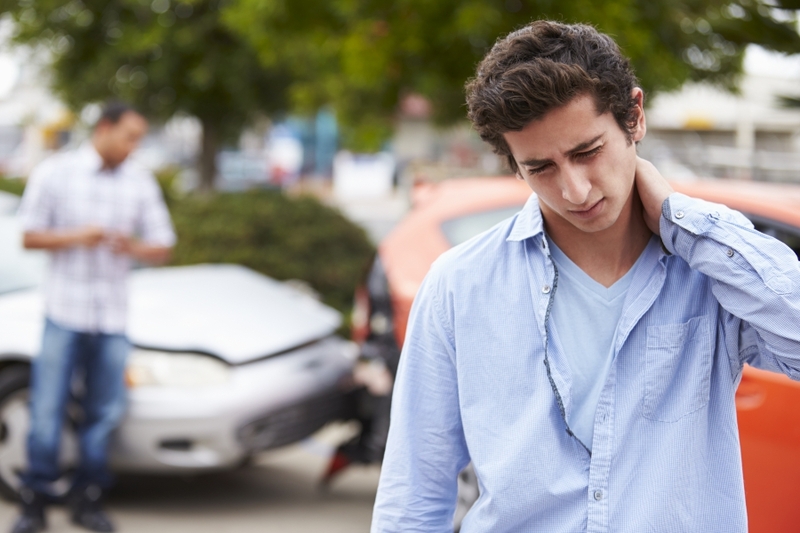 To establish negligence, we may strive to attain the following information: • Crash scene evidence (including photos and an inspection of the scene) • Evidence from any vehicles involved in the crash • Electronic data recorder (EDR, or “black box”) information • Witness statements • The other driver’s cell phone records • The other driver’s toxicology reports • Surveillance or red light camera footage In addition, we may consult with experts who can reconstruct the events of an accident, so that they may be clearly illustrated to insurers, jurors, and others involved in your case. Here at Steve Ray Law, we’ve got your six. We’ll do our utmost to ensure that you gain just compensation for an accident that you have suffered. We understand that an accident can be painful and overwhelming, and the repercussions of an accident can last a lifetime. We work on your behalf, striving to earn you compensation and restitution so that you can recuperate from the accident and move forward with your life as best as you can. If you’re still curious about the services that we provide, or if you’d like to acquire representation, feel free to reach out to us. Again, we provide personal injury attorney services for folks throughout Northern Colorado from our Fort Collins-based law firm.